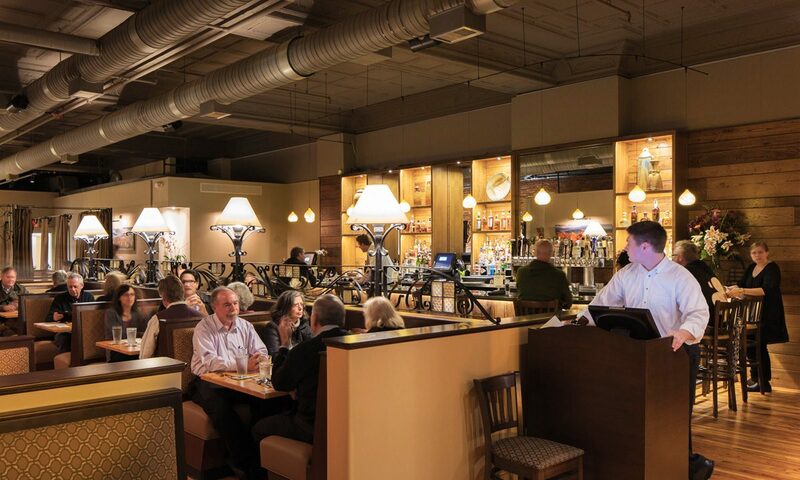 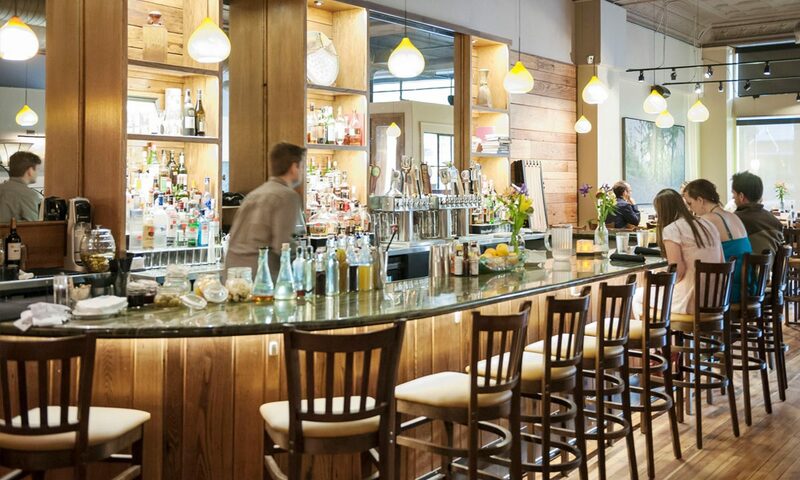 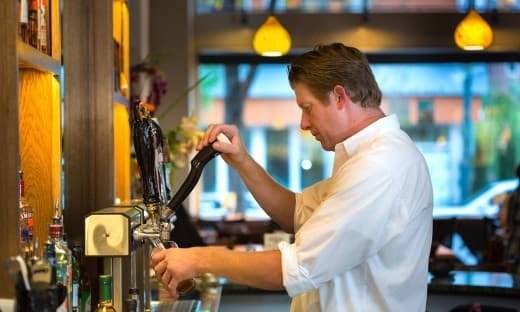 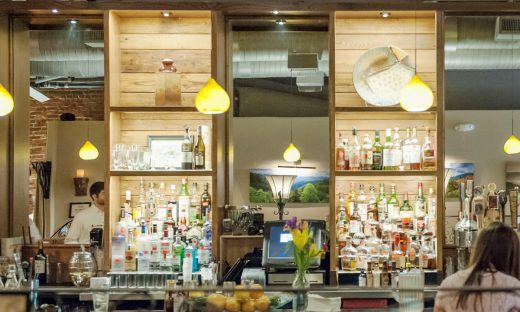 The owners of the popular Biltmore Village restaurant Corner Kitchen decided to renovate a storefront restaurant in downtown Asheville and looked to Samsel Architects as their architect and collaborator for a new Asheville restaurant design. 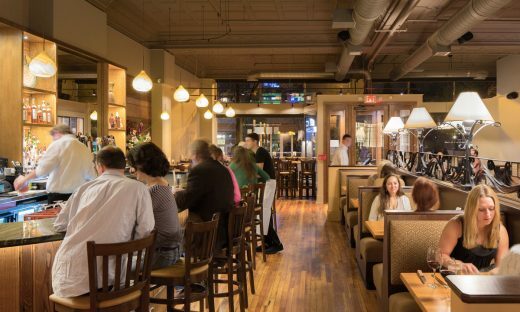 One design challenge loomed large: how to make the long, dark, and narrow space a warm and inviting restaurant and bar. To create an inviting entry sequence the team chose to clearly define a series of intimate gathering areas: the bar with its chestnut paneling, the comfortable booths, the “A” table at the storefront window, and the reserved seating area in the rear all balance color, texture, and casual elegance. The owners wanted a comfortable atmosphere that matched the high-quality food without feeling pretentious or formal. 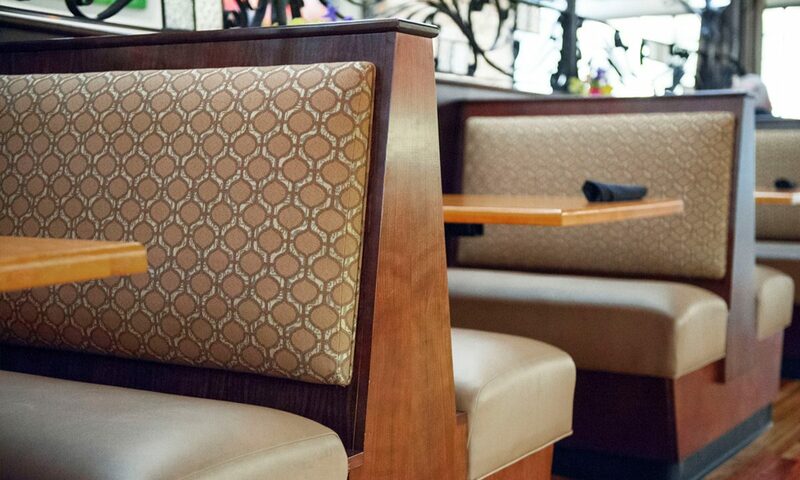 The restaurant design uses complimentary wood species, diffuse lighting, low walls, and thoughtfully located acoustical treatments. The resulting restaurant and bar epitomizes a truly collaborative endeavor.